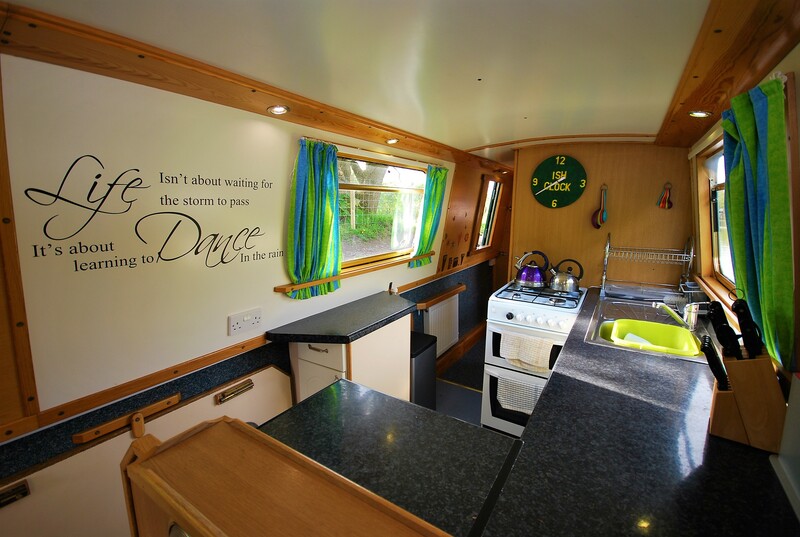 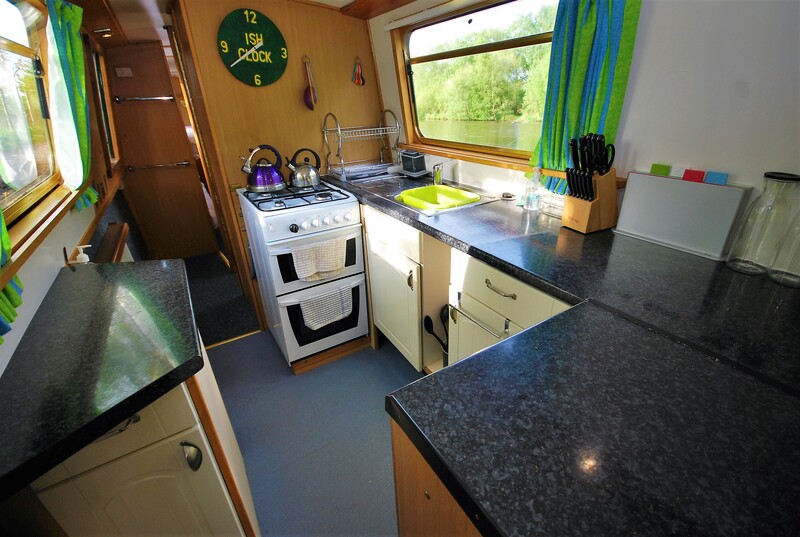 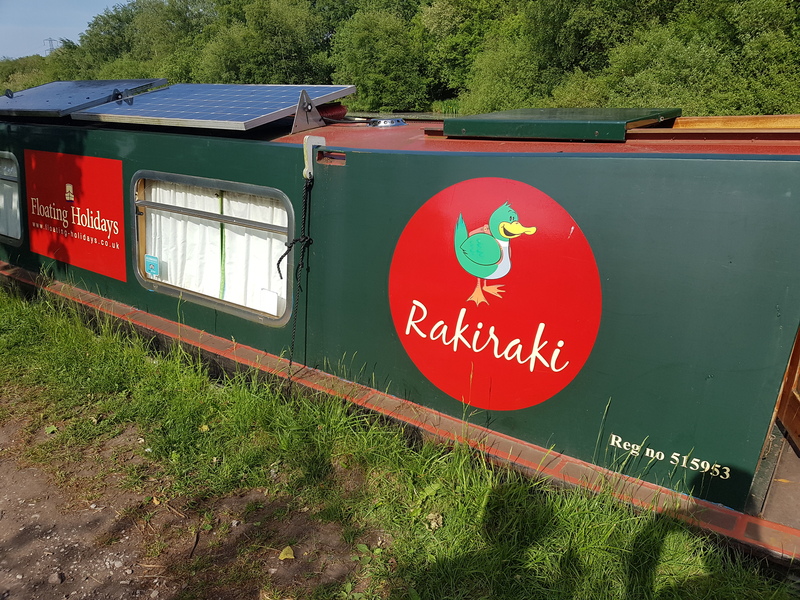 We took Rakiraki into our fleet in May 2018 and she is an excellent narrowboat with room for large parties of up to 10 guests. 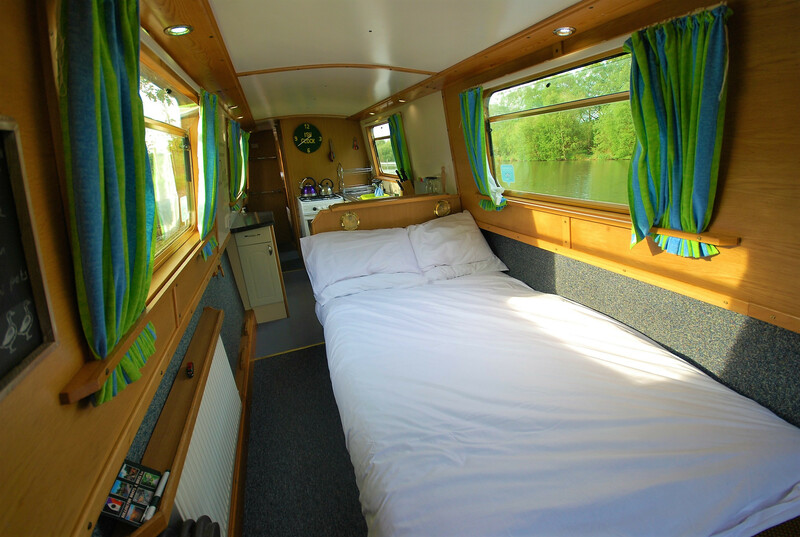 She has all the mod-cons you could wish for including two bathrooms and a fully equipped kitchen, three cabins and the saloon converts to make an additional fourth sleeping area. 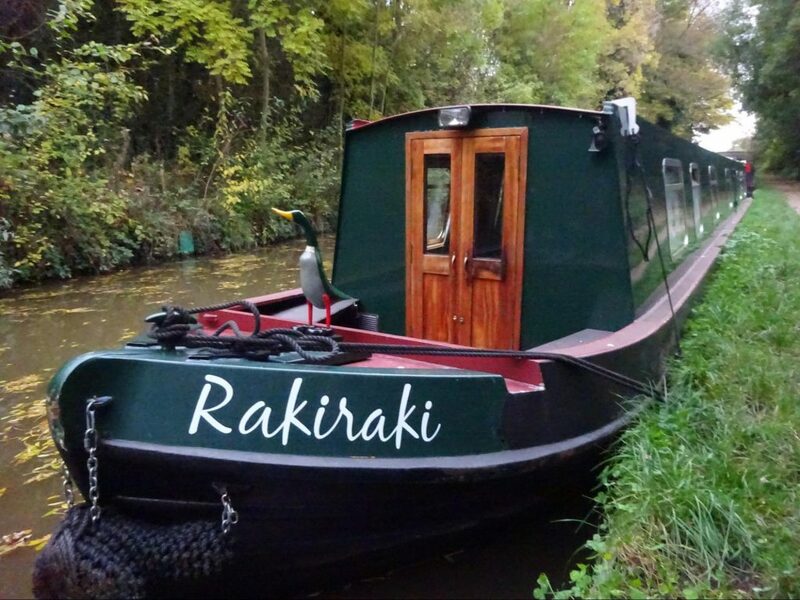 Rakiraki has cruised the canals of the north west extensively and has proved herself to be a capable and comfortable visit, she receives excellent reviews from guests and would make a great boat for your next holiday. 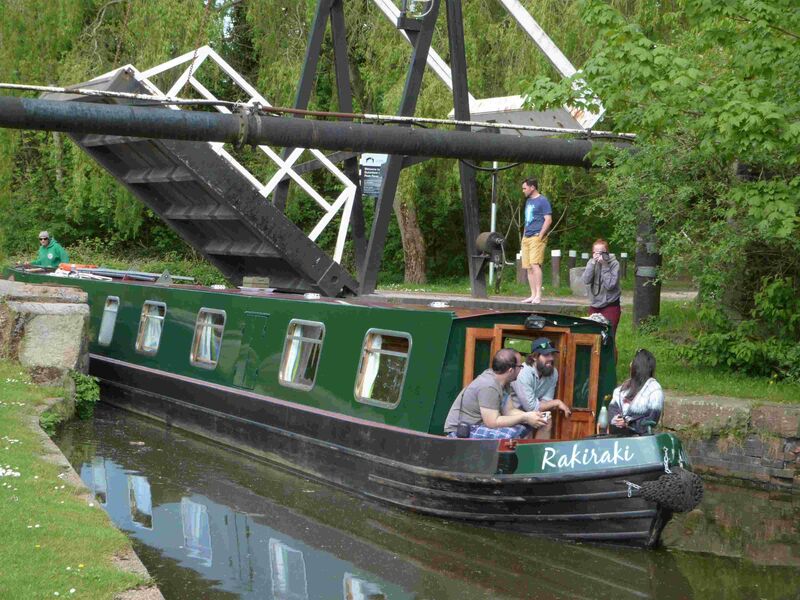 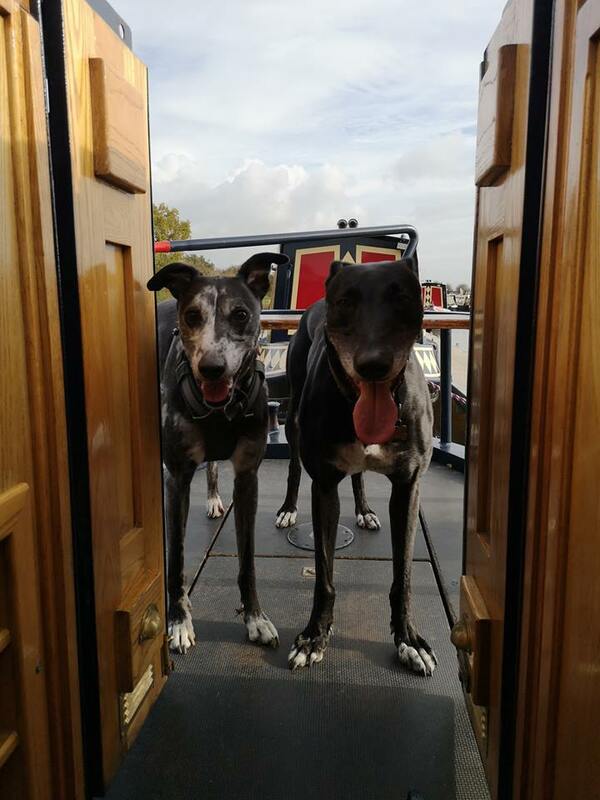 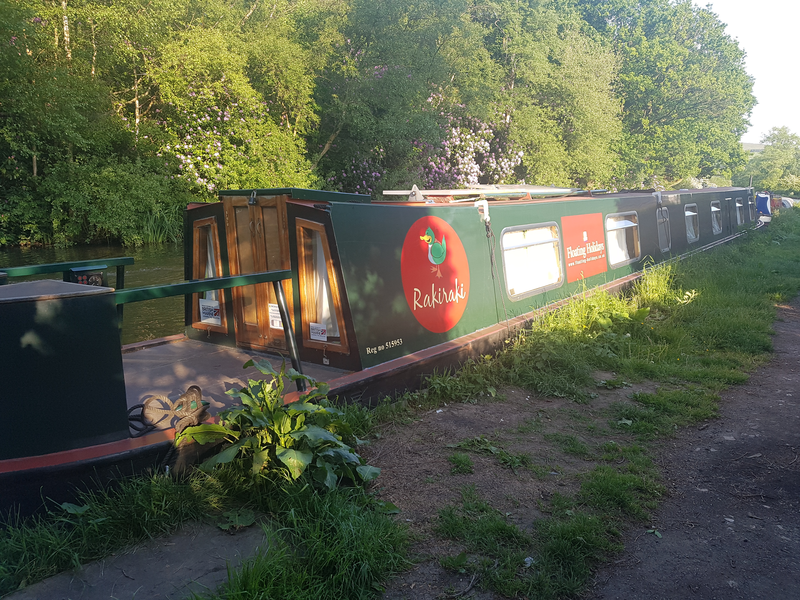 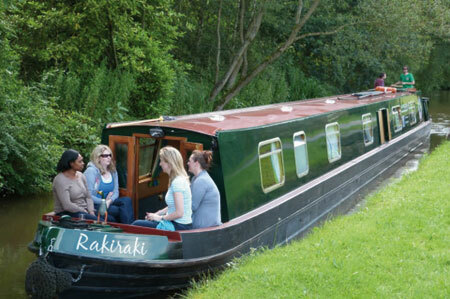 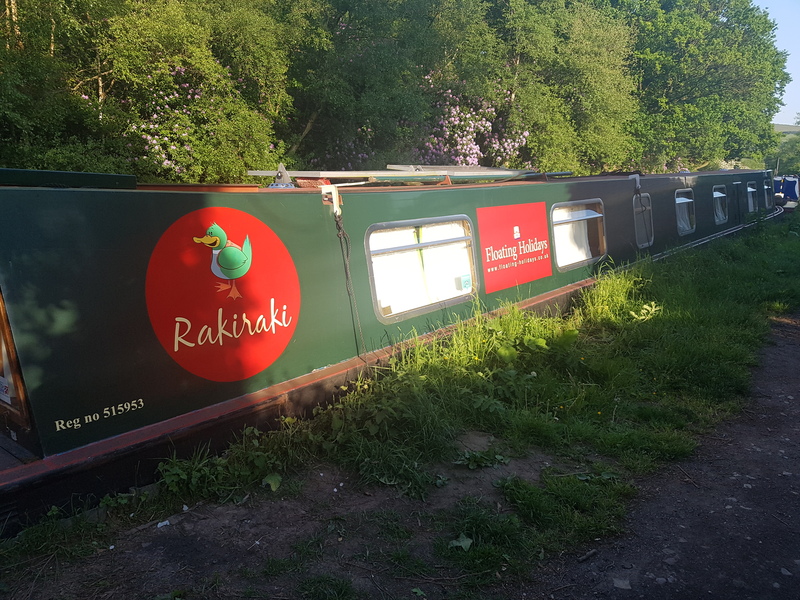 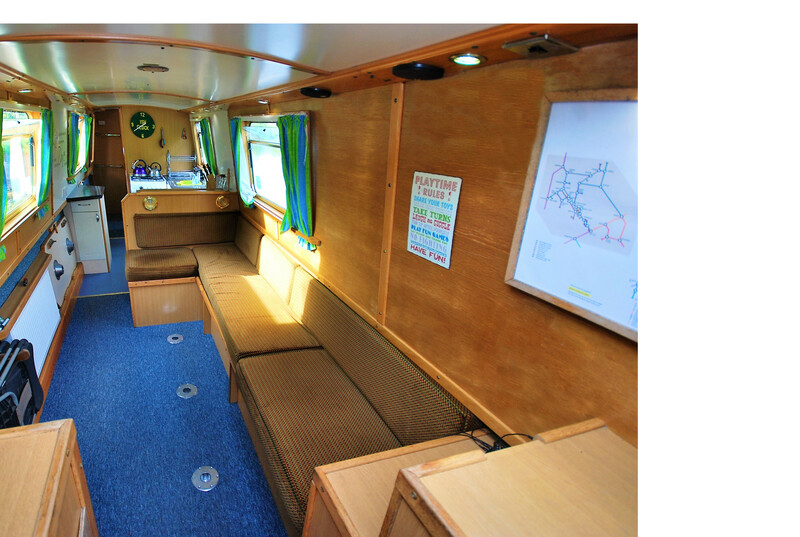 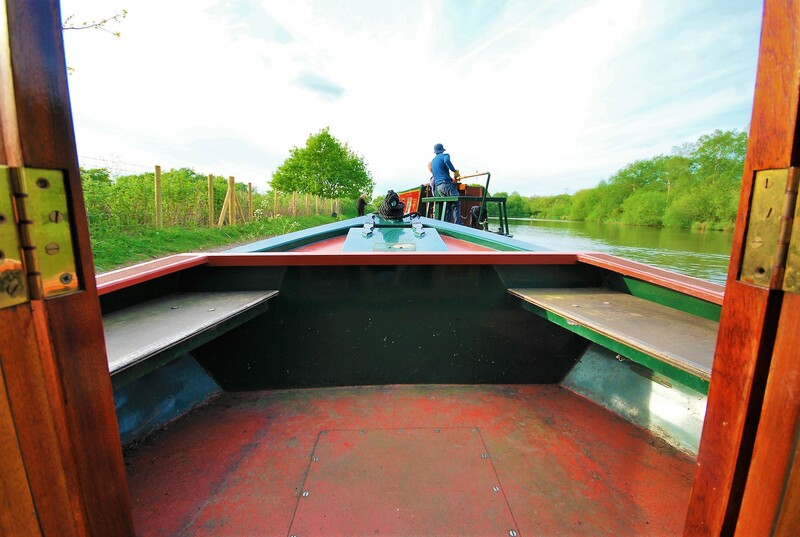 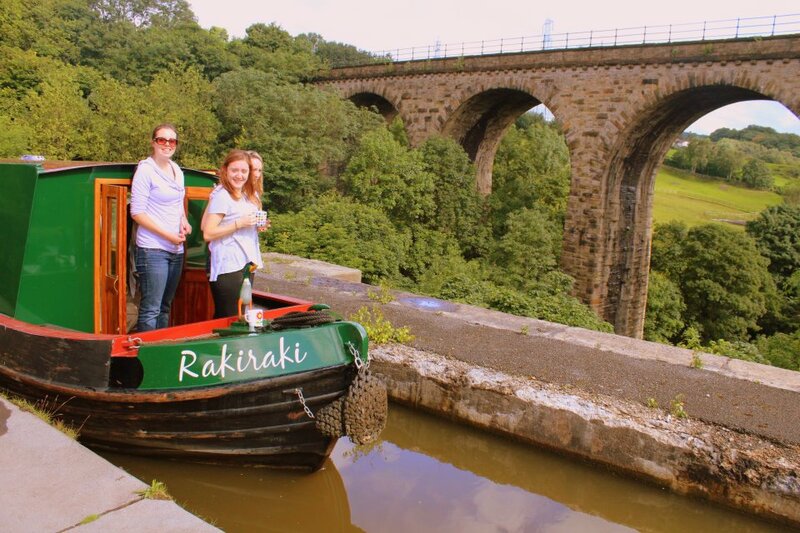 If you are interested in enquiring about hiring Raki Raki you can do so through our contact page or through our booking page, she is a 69ft 10 berth narrowboat. 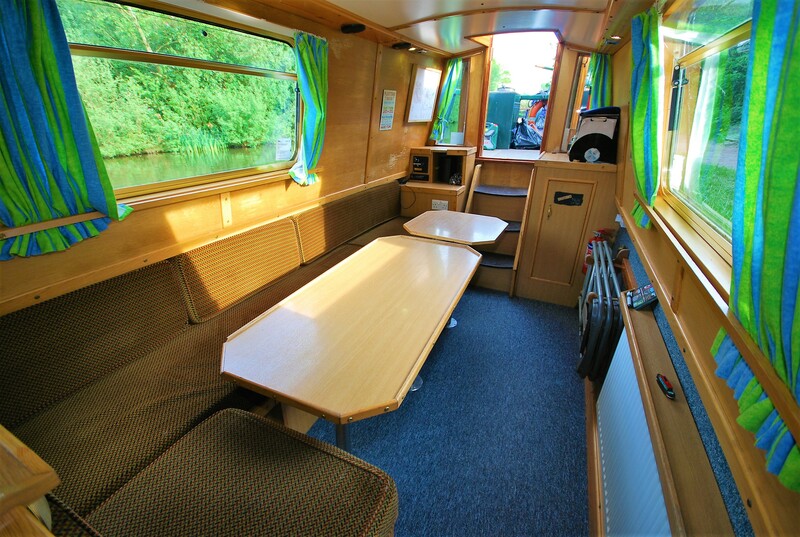 From the rear deck you enter the Saloon (lounge) which is open plan and continues to the Galley (kitchen) which is fully equipped with everything for your stay. 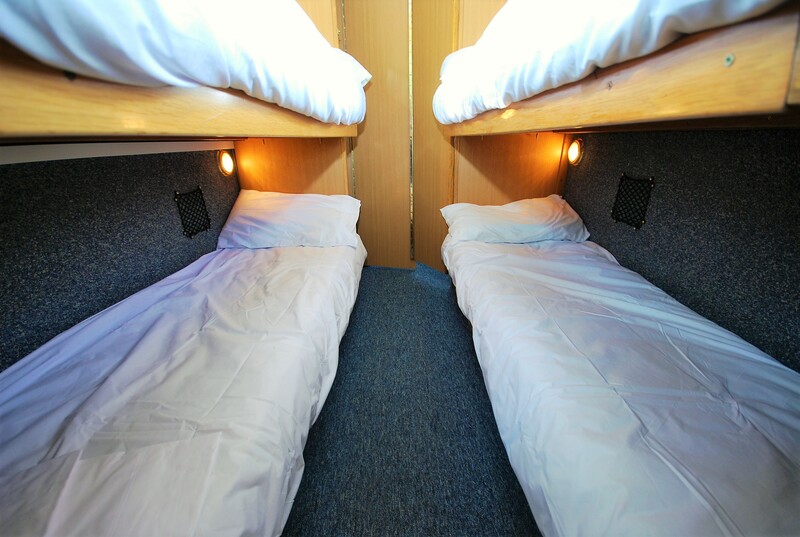 Beyond down a short corridor is the Head (bathroom), a cabin of four singles in bunk beds is followed by two cabins with double beds and an additional bathroom. 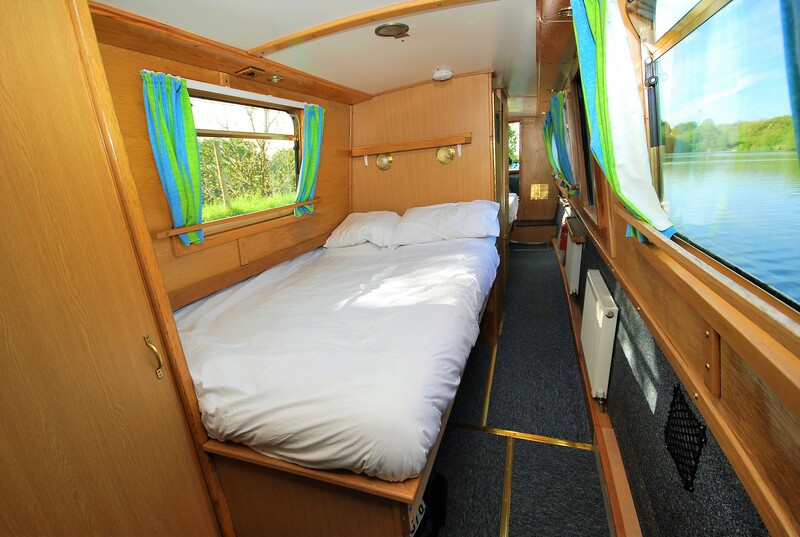 The front cabin having French doors onto the front deck. 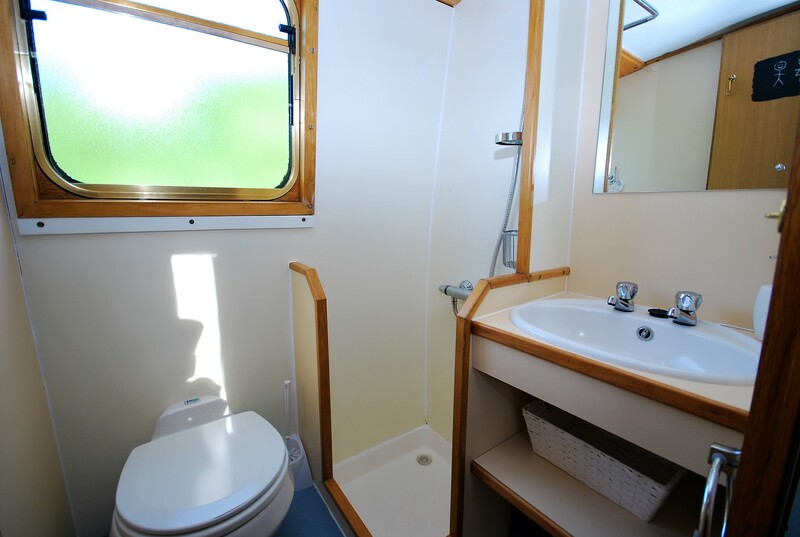 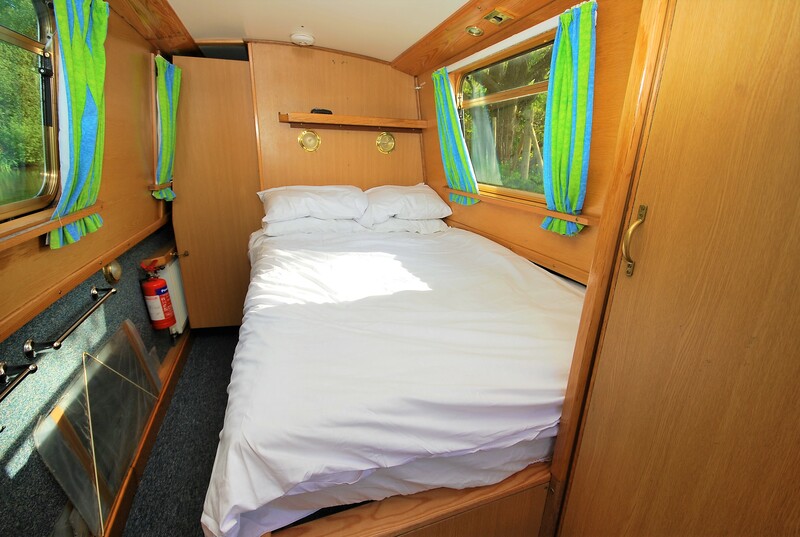 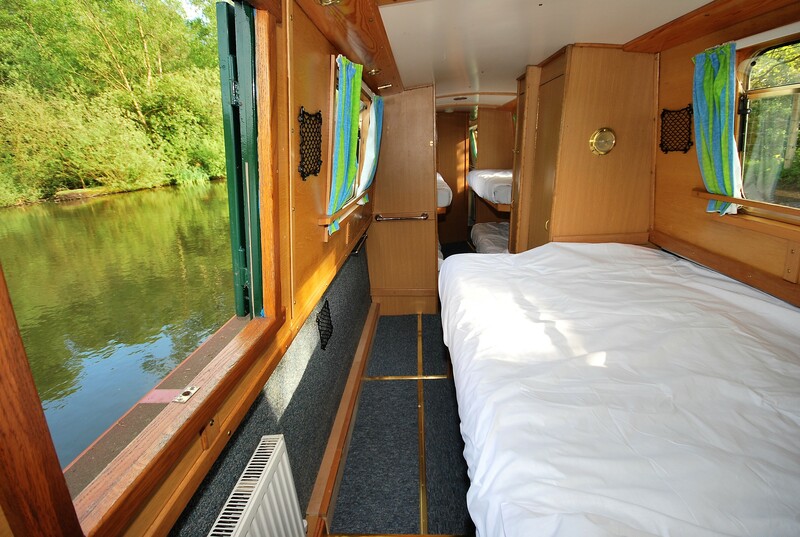 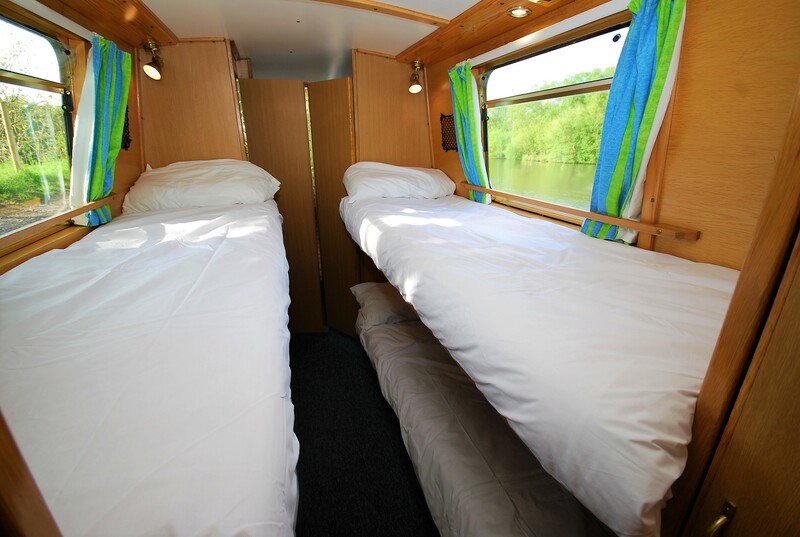 The boat has comfortable sleeping arrangements throughout and comes with all the linen and towels you will need for your stay.